Kylei & I picked this flower to give to Baby Todd for an easter gift. 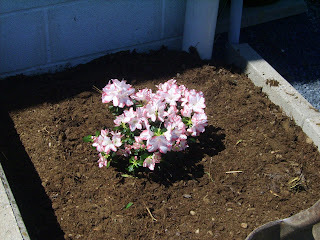 When we bought it, the Azalea had a few branches that stood taller than the others. 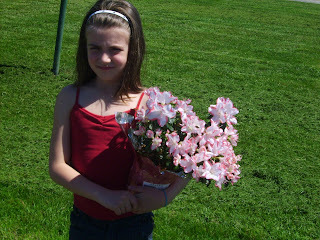 We clipped those and tied them in a bouquet and put them on Baby Todd's grave Easter Sunday. 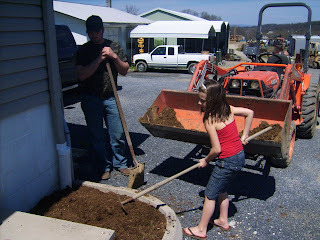 Today, as a family, we planted Baby Todd's azalea bush. I like your azalea! You have such great ideas of keeping the memories and legacy going.